A data-driven content hub that powers your brand wherever you are. Widen’s digital asset management platform drives content operations and brand power across the entire content lifecycle. 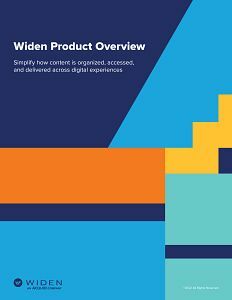 This DAM software product overview will show you how you can create, review, manage, distribute, and analyze your visual content with the Widen Collective. Our set of applications is designed specifically for marketers and creatives.